Joseph Powell, a gentleman farmer who lived in the Ashfurlong district of Sutton Coldfield, was the Warden of Sutton in 1657. In 1663 a tax was payable on every hearth, sometimes called the chimney tax, and the tax collector noted that Joseph Powell’s house had five hearths. After Powell died in 1685 an inventory was taken of his household goods, showing that that he lived in a five-bedroom house. The house was on the traditional plan, with the “hall house” occupying the full width of two thirds of the ground floor. In the hall house was a great hearth with all the accoutrements for open-fire cookery, which John Jones and Robert Powell, the neighbours who made the inventory, listed in detail, giving us a description of seventeenth century cooking arrangements. There were two cobbards (cobirons, iron bars supporting the spit) and a grate to support the fire, two pairs of tongs, a fire shovel and a pair of bellows to tend the fire. Traditionally, the hearth in the hall house was where the meat was roasted, so the hearth was fitted with a jack for turning the two spits, a frying pan and an iron dripping pan, a brand iron a meat fork and a mincing knife. There were two pot hooks where cooking pots could be suspended over the fire, and two pot-gailes (small cranes which could be swung over the fire). Also on the hearth was an old smoothing iron. The hall house had only utilitarian furniture - tables, benches and stools, and the three shelves held a salt box and a few books - a room for the occasional feast rather than for everyday use. Other rooms on the ground floor were the kitchen where food was prepared - the inventory lists four kettles and three pots here - the buttery where there were “seventeen dishes of pewter big and less” and the dairy where there was some cheap local pottery called “Wednesbury ware”. The contents of the dairy were appraised (valued) at only three shillings, of the kitchen and hall house together £4. 10s., while the pewter in the buttery was worth £3. 5s. The parlour was the only room on the ground floor with comfortable chairs and quality furniture. 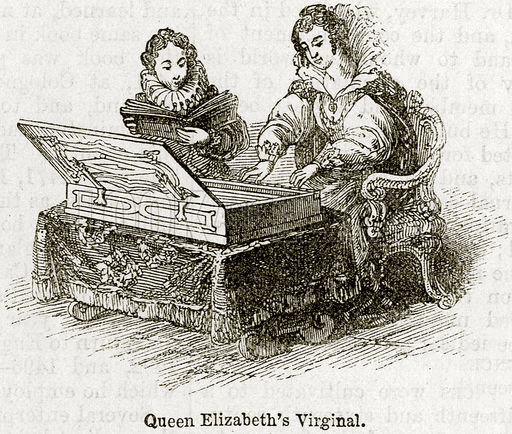 There was a livery cupboard used for housing snack foods for entertaining guests, covered with Kidderminster cloths, a candlestick, six cushions and a pair of virginals - an early keyboard instrument. The parlour was much smaller than the hall house, with a hearth used for heating the room rather than cooking. Also on the ground floor was a pump room - this was bare of furniture, but it was more usual at the time to have a well outside the house for water, so an indoor pump was a sign of Joseph Powell’s status. The other room, described as the new house, seems to have been used as a box room, containing an old tub, an old saddle and a hair sieve. This new room was built in the late 1660s, when Joseph Powell was in the prime of life; the 1663 Hearth Tax records show that Powell’s house had five hearths, while in 1670 six hearths were assessed, showing that this extension building also had a chimney. Some of the bedrooms would have had fireplaces; the principal bedroom was the chamber over the parlour, with furnishings worth £11. 10s., including four rush chairs and a table, probably used as an alternative sitting room to the parlour. Perhaps this was his wife’s favourite room - in his will he bequeathed “to my dear and loving wife Elizabeth” all his personal estate. 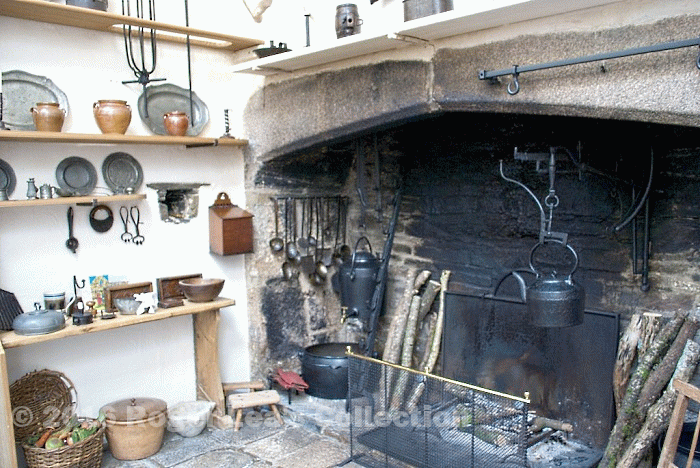 Some of the features of Joseph Powell’s hearth can be seen when visiting the kitchens of historic houses, as in this Cornish example.